Musée du Louvre is the world’s largest museum and it is also one of the most visited places in Paris, with over 10 million visitors annually. This museum was originally a defensive fortress for the city beginning in the 12th century, but was eventually converted into a residence for French kings, until the Sun King Louis XIV decided to have Versailles castle built. In 1793, during the French Revolution, the Louvre was transformed into a museum where it now displays over 30,000 artworks. 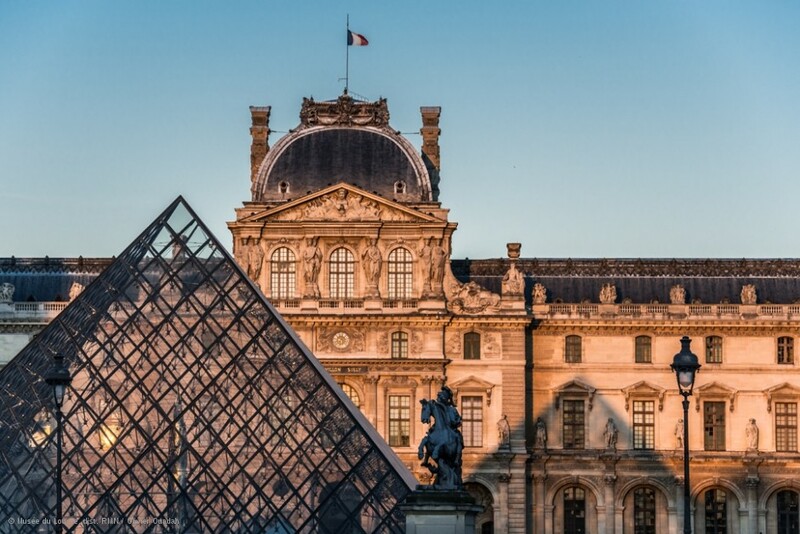 The Louvre’s oldest artwork on display dates to over 7,000 years ago! Some other famous artworks shown in the Louvre include the famous Mona Lisa by Leonardo da Vinci and the sculpture, the Venus from Milo. This museum has been split into three different wings: Sully, Richelieu and Denon. Although it may seem like the museum is small, do not be deceived, because each wing can take up to, if not more than, a few hours to explore. It is possible to spend your entire day at the Louvre and still not finish one particular wing. 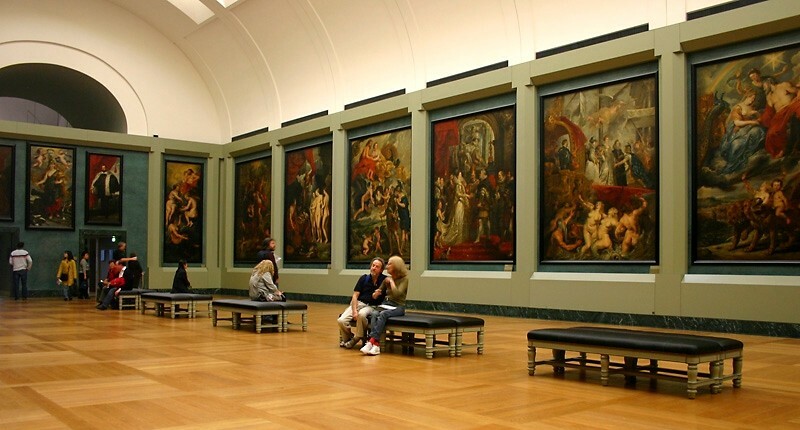 That is why many of the art classes in France visit the Louvre multiple times in order to see as many as possible of the artworks that are on display. Within the three wings mentioned before, there are also 8 different departments: Egyptian Antiquities, Far East Antiquities, Greek, Etruscan and Roman Antiquities, Islamic Art, Paintings, Sculptures, Decorative Arts, and Prints and Drawings. Each department has its own objects and pieces to show. 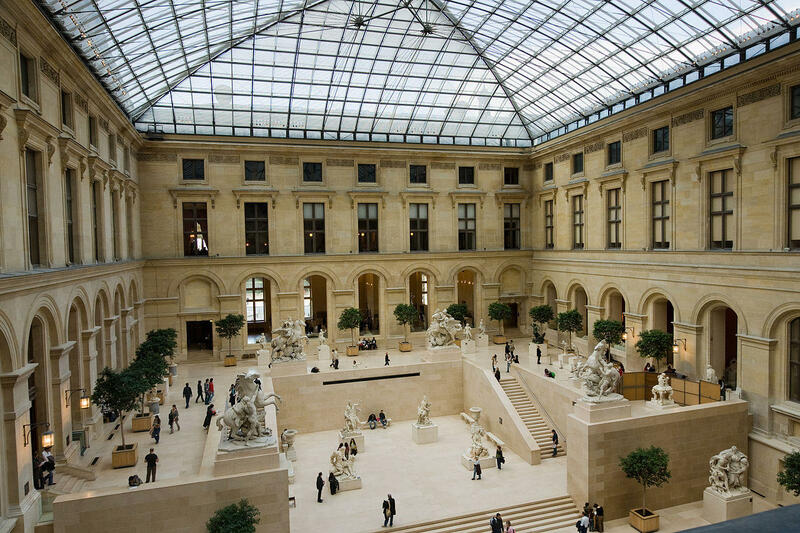 If the amount of things to see in the Louvre seems overwhelming to you, you can easily take a guided tour within the Louvre, either with an official guide from the national museums or with a private guide. Not only will you be able to focus only on the main masterpieces, but you will also have the possibility to choose between various thematic tours, to enjoy live explanation and to ask as many questions as you want. The tour from the official national monuments guides lasts for an hour and a half. No reservation is necessary, but you need to be at the meeting point by the group reception desk at least 15 minutes prior to the beginning of the tour as the number of tickets is limited. There are two tours available: the introductory tour and the lecture tour. The introductory tour is offered in English and French; however, the lecture tour, a more detailed tour of the museum, is only offered in French. You can check the availability for these tours on the official website of the Louvre. You can alternatively book a tour with a private guide. This will allow you to save time as the entrance ticket is usually already included in the price of the tour. These tours being highly popular, we recommend you book well in advance to be sure to get tickets for the date that suits you best. For people who feel more comfortable speaking languages aside from English and French, there are audio guides available at the desk for a small fee in various languages: Spanish, Japanese, Italian, German and Korean. You could also download the Louvre app to get the audio guide for free on your phone. 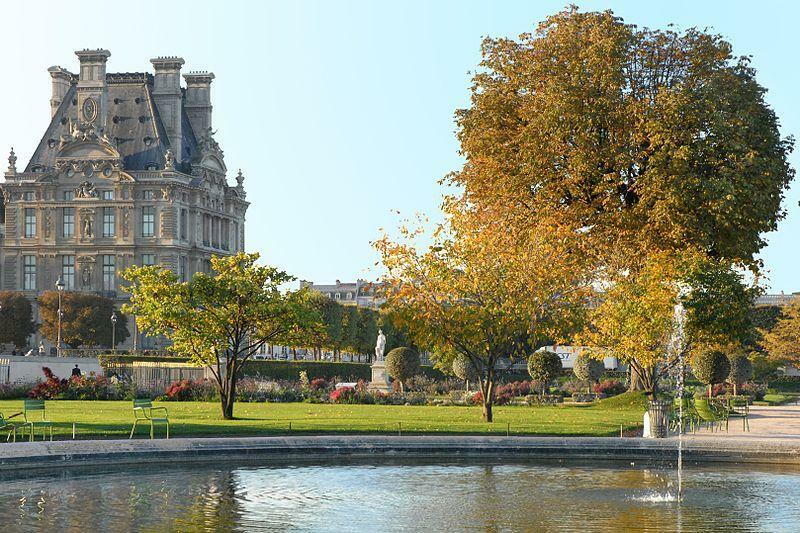 If you prefer to follow a route, but do not want a guide or map, there are visitor trails available on the Louvre website. Every trail has a different theme, so you can choose something to your liking. The trails give you information about the time the route takes and the map for the route. 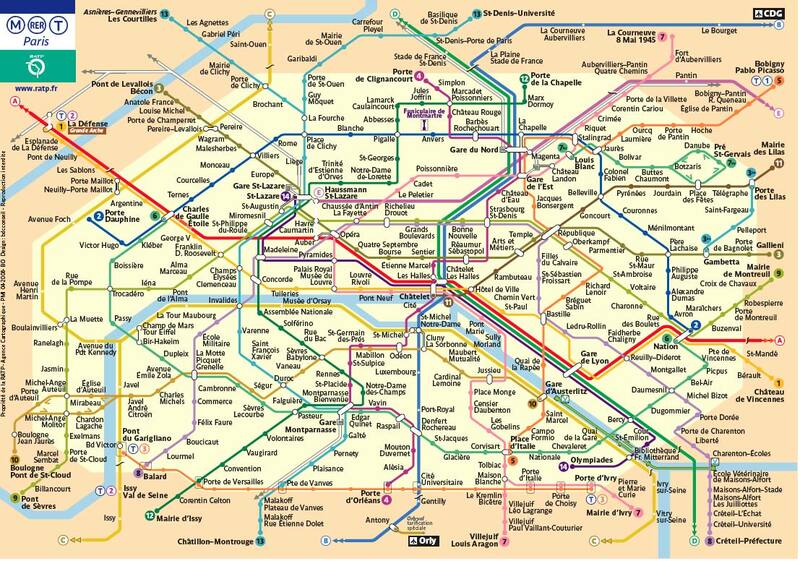 Whether you are a tourist or a Parisian, the easiest way to get to the Louvre or most places in Paris is by using the metro. The Louvre is located by Palais-Royal Musée du Louvre metro station, which is on lines 1 and 7. It might be confusing to find the entrance to the Louvre, but there are many that you can use. The most well-known entrance is through the pyramid on the top; however, there are three other entrances that can also be used, which are Passage Richelieu, Porte des Lions and Carrousel du Louvre. You will see that there are in fact 2 lines at the pyramid, the long one on the right is for regular visitors whereas the one on the left is for visitors with pre-booked tickets. You will save a lot of precious time indeed by buying your ticket in advance! The Passage Richelieu entrance is for people who have a museum pass only and it is right across the Palais-Royal Musée du Louvre station, right off Rue de Rivoli. The Porte des Lions entrance is closer to the Jardins des Tuileries, so if you are heading from that direction, it is the most convenient entrance to take. Finally, the last entrance that can be taken is from the Carrousel du Louvre, which is nearby the Arc de Triomphe du Carrousel. Sometimes, entrances may be closed due to construction or renovation, so always make sure to check the website for more information. The regular ticket price to enter the Louvre is €15. However, there are exceptions. You may be eligible for free entry at any time if you are: a student in the EU, an EEA resident, under 18 years old, a recipient of minimum social benefits or handicapped. If any of these cases apply to you, you do not need to stand in line (unless you want an audio guide), you can just enter the any wing of the museum showing your ID. In addition, from October to March, on the first Sunday of every month, there is free access for everyone. There are cafés and restaurants spread out through and around the Louvre, so if you do ever get hungry during your time in the Louvre, which is very possible, you have many options to choose from. Also, the Tuileries gardens, outside the Louvre, have their own set of sculptures and is great place for a nice stroll, especially when the weather is nice. There is a shopping area next to the Louvre as well called the Carrousel du Louvre. As you can see, the Louvre has a lot of things to see and do, so it is impossible to get bored at the Louvre. If you need any more information about the museum, you can always check out the Louvre website. Where is the best area to stay in Paris? Finding the perfect area might be easier than you think. Below, we have listed our selection of the best areas to stay in in Paris. We have carefully selected these areas based on a range of factors. Check out our descriptions of each area and pick which one you like the most! 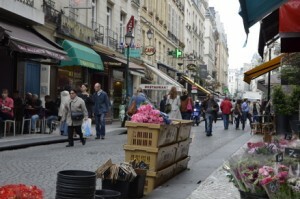 The Marais area of Paris is one of the city’s most diverse quarters filled with dozens of small roads and passages. It is truly a unique environment for visitors to discover. The Jewish community received ownership of many buildings in the area and as years passed by, the style of these buildings has slowly transformed. The synagogue on Rue Pavée and the museum of Jewish Art and History are two significant representations of the Jewish community in the Marais. Right next to the Marais neighborhood is the Hotel de Ville. This is the Town Hall of Paris, where the majority of the administrative workers in the city gather. During the day, you can find trendy fashion boutiques, quiet cafés, art galleries, narrow streets, and Jewish bakeries. The Musée Picasso and Musée Carnavalet can be found in the area and are two places that should not be missed. Thanks to all of the bars and pubs found on almost every corner near the Hotel de Ville, the nightlife is vibrant and diverse. Although it is not one of quietest quarters in Paris, there are a ton of things to see and do. If you choose to stay in one of the area’s old, unique buildings, you will feel truly immersed in Paris city life. If you would like to get away from all of the noise and traffic found in the center of Paris, think about choosing the neighborhood of Montmartre. Thanks to its unique geography (full of hills, stairs, and tiny streets) and incomparable atmosphere, Montmartre is one of the most requested areas to stay in Paris. Stop in one of the small corner bars to get a classic French crêpe or simply drink a glass of wine. The tops of the hills offer many amazing views of Paris. From many of the buildings, you will have a unique panorama of 360 degrees, especially during sunset, showing all the monuments in Paris. 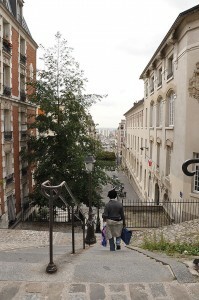 You will not regret choosing Montmartre during your stay in Paris. Bercy is a lesser-known but equally nice neighborhood in Paris. Although it is outside of the city center, it offers travelers who are on a budget the option to stay within Paris without spending too much money. The neighborhood is safe and quiet, located off of the Line 14 Bercy metro stop. You can easily access central Paris via the Line 14 metro, so even though you will be staying slightly east of the city, it will not be hard to reach the more popular spots. You will find plenty of things to do in Bercy as there is a nice selection of bars and restaurants as well as attractions. 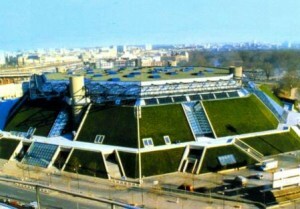 The famous Bibliothèque François-Mitterand, a huge library named after the former president of France, can be found in Bercy as well as the Musée des Arts Forains, the beautiful Bercy Park, and the Palais Omnisport, a sports arena. If you are considering visiting Paris, take these three locations into mind when choosing where to say. The Marais area, Montmartre, and Bercy are unique neighborhoods in Paris with a lot to offer to tourists.